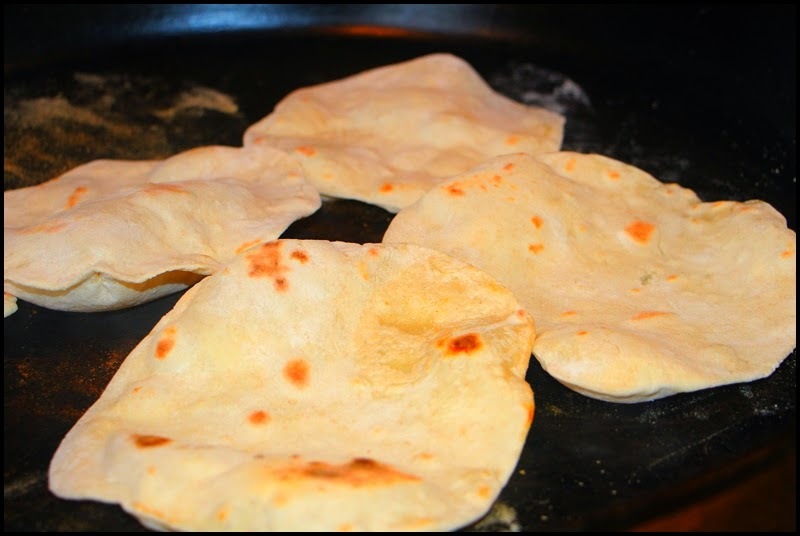 This is a very simple recipe for classic Indian naan bread. It can be baked in an oven or on top of the stove. I used the stove-top method for these (as pictured below). This is so easy to make and really delicious.You can cut the recipe in half (or double it if you like), and the breads freeze well also. 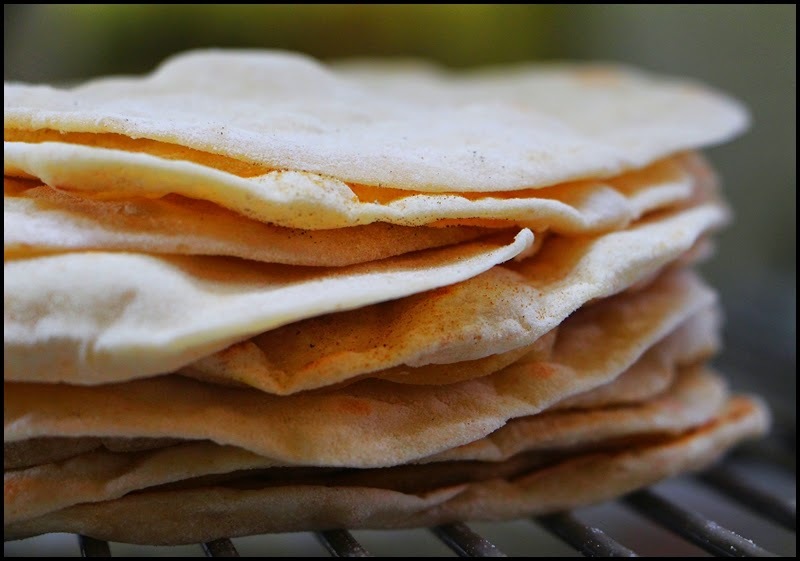 Used as an accompaniment to a meal, a utensil, or spread with oil, spices, and salt and eaten alone, these breads are addicting. Combine the water, yeast, and whole wheat flour in the bowl of an electric mixer, stir just to combine, then allow it to rest and ferment for at least thirty minutes. Add the remaining yeast, the melted butter, yogurt, sugar, and sea salt to the bowl. Fit the mixer with a dough hook and operate on low speed for a minute or so, just to combine the ingredients. Then add 4 cups of bread flour to the bowl and run the mixer on medium speed. If the dough seems too sticky add additional flour. Knead the dough on medium for 6-8 minutes. Transfer the dough to a clean bowl, cover it, and allow it to rise and ferment at room temperature for about an hour. Turn the dough out onto a work surface, divide it, and shape it into small bowls; allow these to rest for just a couple minutes. Roll the loaves out on a floured surface and set aside (do not stack them). The bread can be cooked in the oven or on the stove-top. If cooking in an oven, preheat it to 500F with a heavy un-greased sheet pan inside. If on a stove-top, preheat a large heavy skillet (preferably cast iron) on medium high heat. If baking in the oven, cook a few loaves at a time (as many as your pan will accommodate and make sure the oven is hot). They will cook quickly (a few minutes) and there is no need to turn them. If cooking on the stove-top cook a couple breads at a time (as many as your pan will accommodate without overlapping and make sure the skillet is hot). The breads will cook quickly; turn them once. Repeat the process until all of the breads are cooked; transferring them to a wire rack or clean towel to cool.